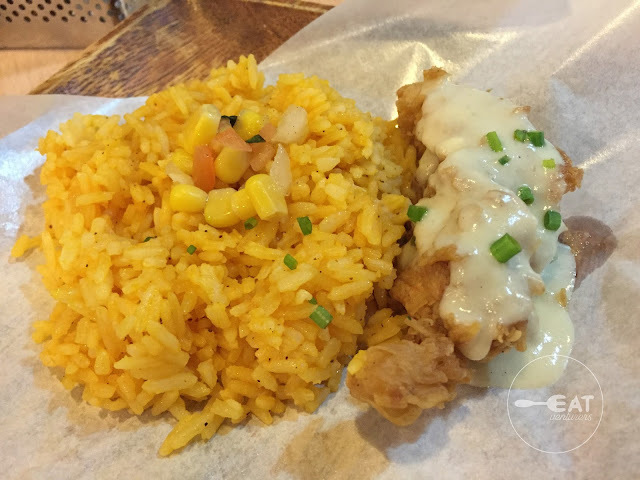 We seldom visit SM Manila but in this food crawl, we were able to try new restos and delicious dishes. 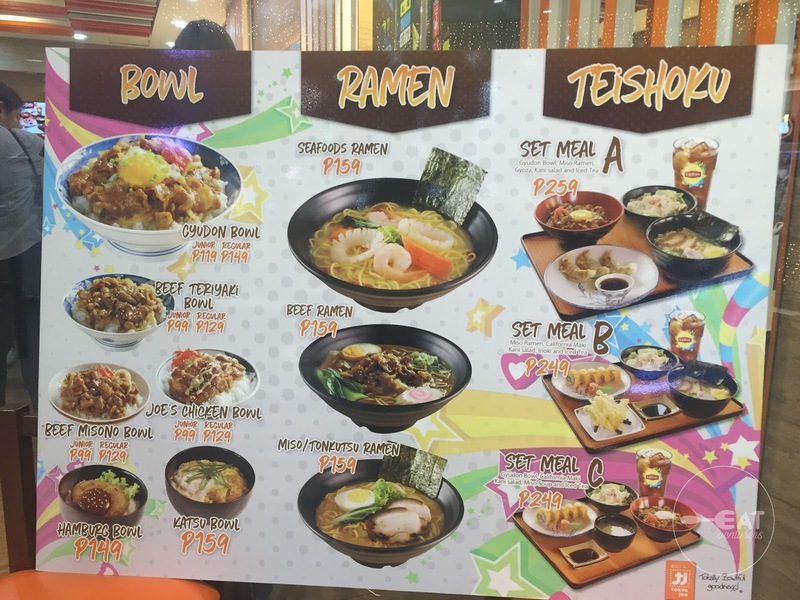 Some of them we've already tried previously: These are Buffalo Wings n' Things, Hot Star, Ramen Cool, Red Table. 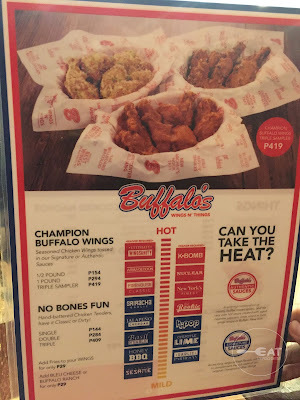 First stop is this wings place, Buffalo Wings N' Things. 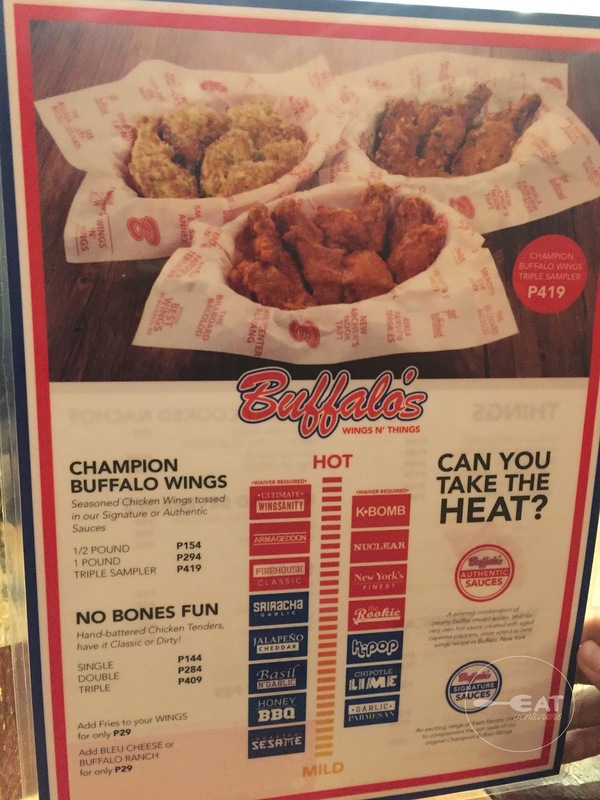 We first tried it in 2014 in its Glorietta 5 branch and just like our previous experience, it is still one of the best wings places to try in line with our taste of liking. 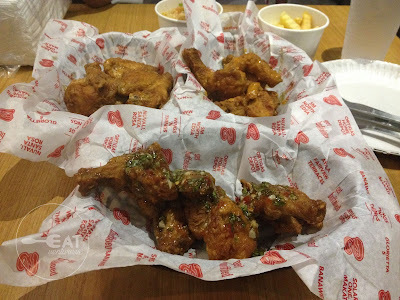 For our SM Manila food crawl, we tried their Garlic Parmesan wings and chicken tenders. 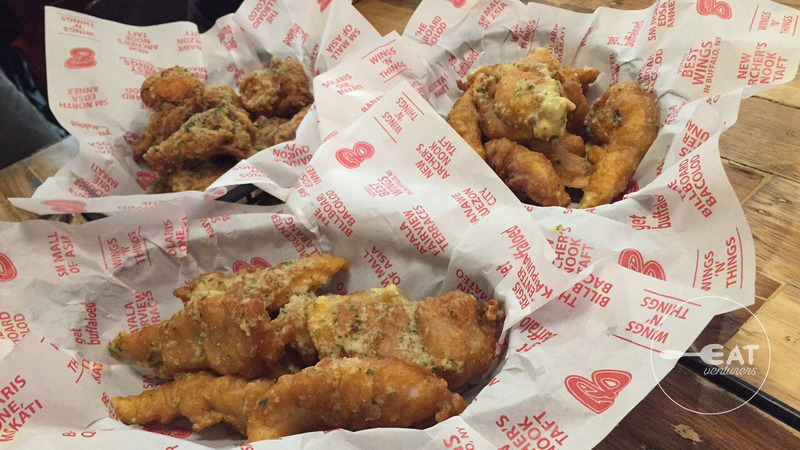 We can say that although chicken tenders makes eating less messier, nothing beats chicken with bones. 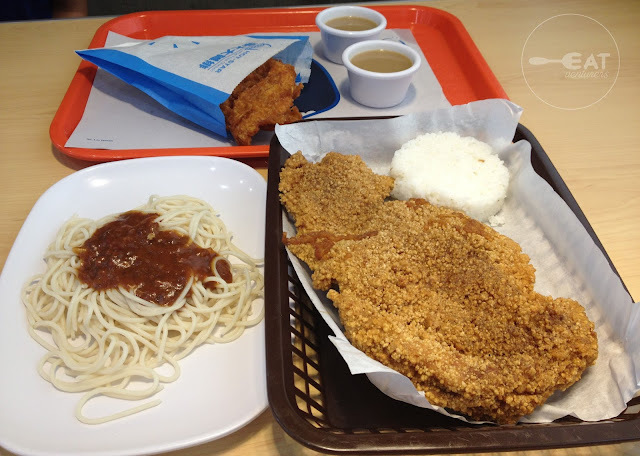 Do not fret though for the store will provide gloves to make your eating experience more pleasant. Garlic Parmesan is still one of our favorite flavors! 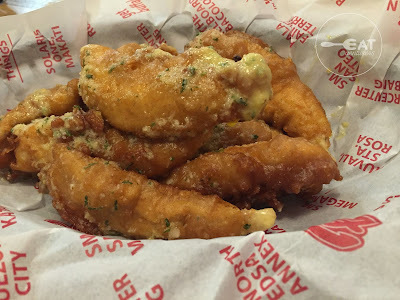 In 2014, we also tried Garlic Parmesan, Firehouse classic and Basil and Garlic. Buffalo Wings N' Things is one of the highlights of our food crawl. It gives a chill vibe with its sporty themed dining area just perfect for barkada dine-out. 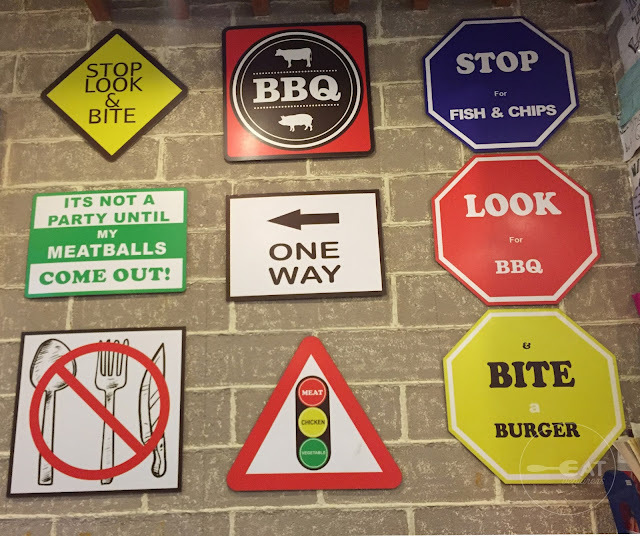 Aside from which, we loved how they offer various flavors with each providing exciting taste. You can even be placed in their "Wall of Fame" if you try their spiciest flavor level and finish the entire serving. 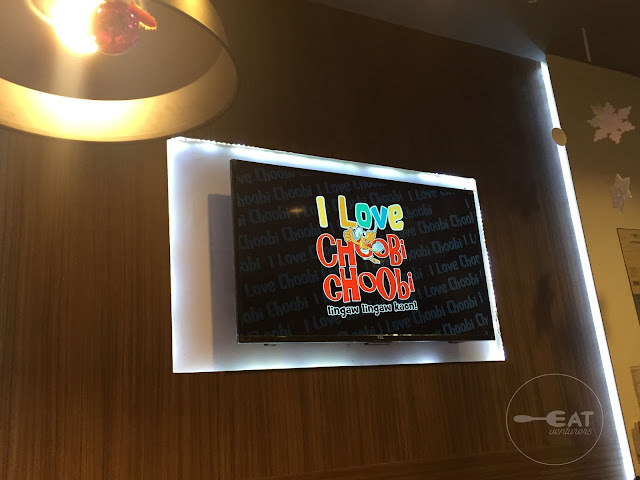 Location: Lower Ground Floor, SM City Manila. 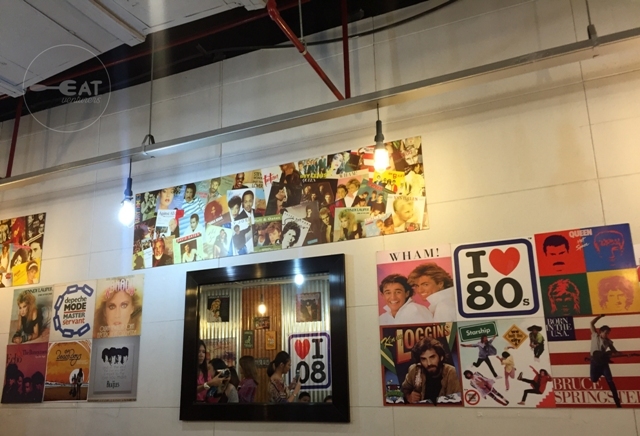 Second stop is this restaurant which originated from Pampanga. 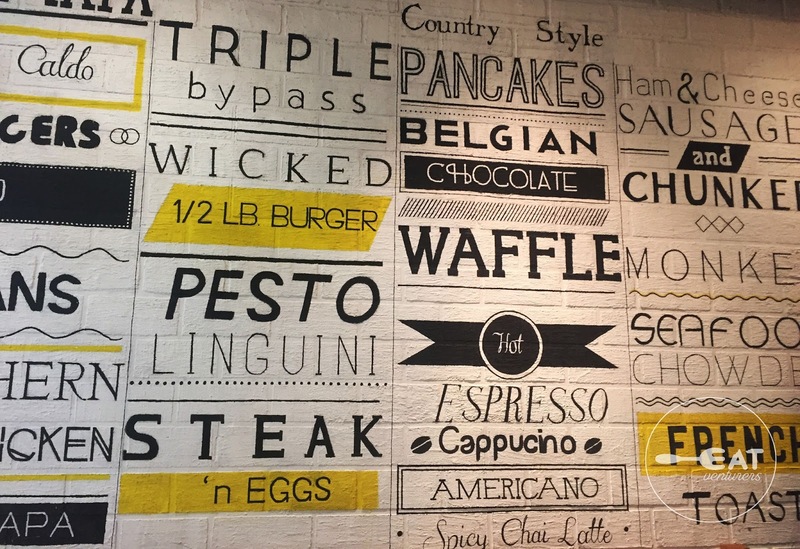 Since Rosette loves kare-kare, she looked forward to trying out this place. 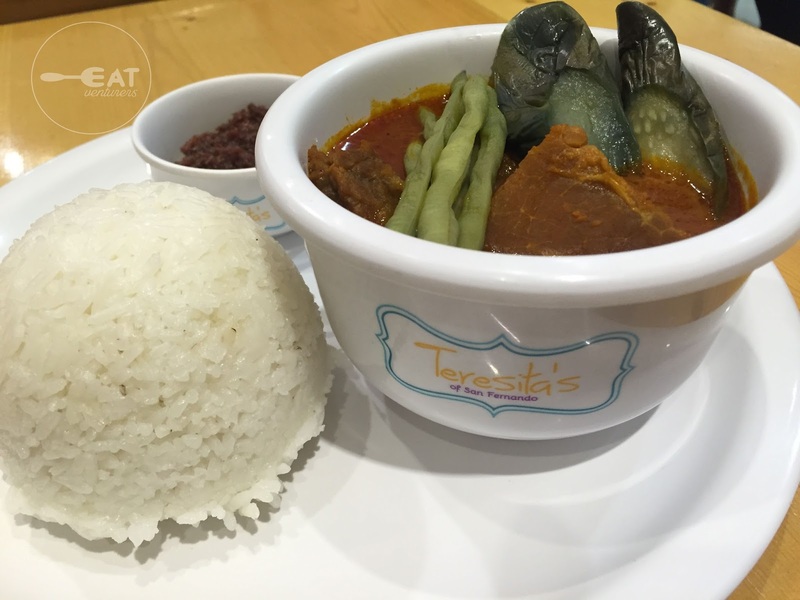 It didn't disappoint for the kare-kare's peanut taste was perfect for our liking. 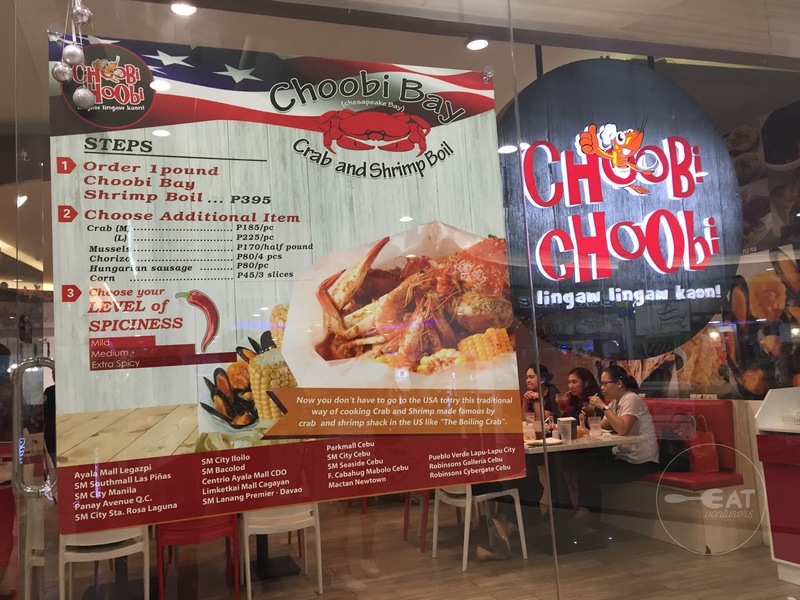 They offer Filipino favorites such kare-kare, caldereta, and palabok. 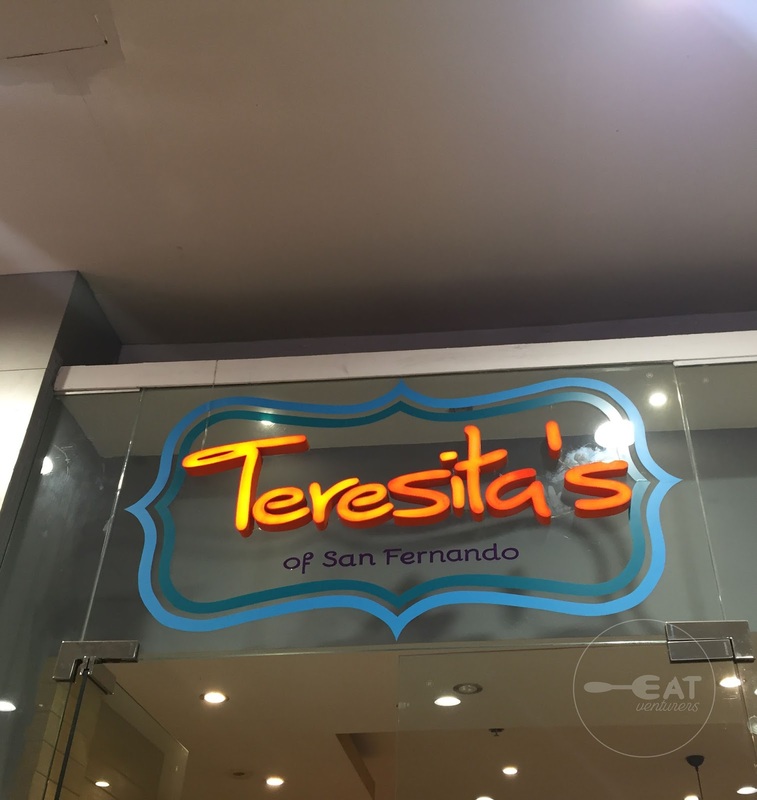 Teresita's also boasts halo-halo as their specialty and one of the best-sellers. 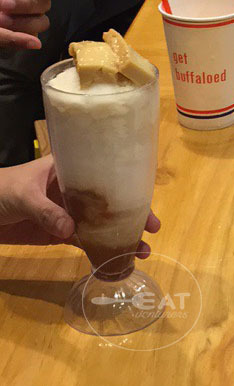 Unfortunately, we were not able to try it due to time constraint. Third stop is this seafood goodness, Choobi Choobi. 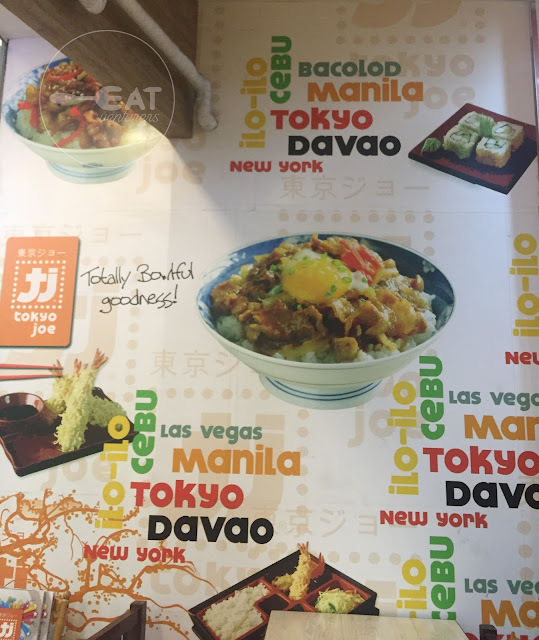 We have zero knowledge and expectation on this restaurant as we were not familiar on this, except that it is from Cebu. 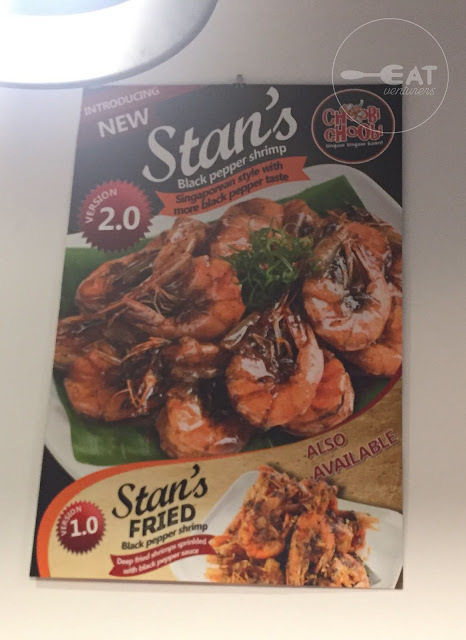 For this visit, we tried one of their best-sellers Stan's Black Pepper Shrimp 2.0. 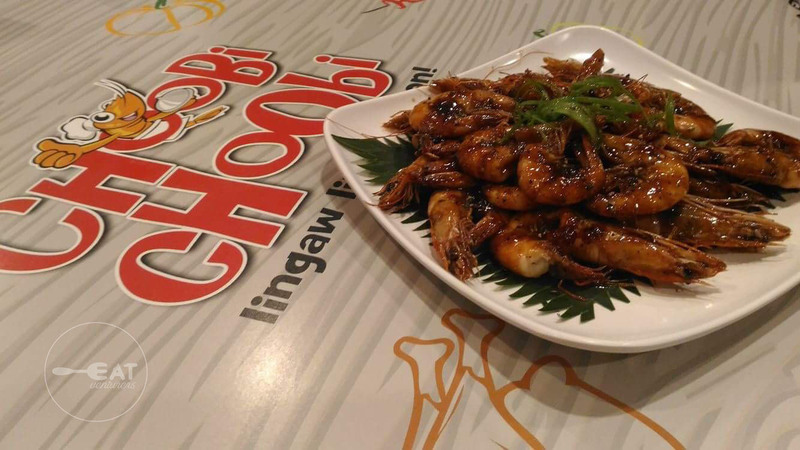 It is glazed with black pepper sauce perfect for your shrimp cravings. 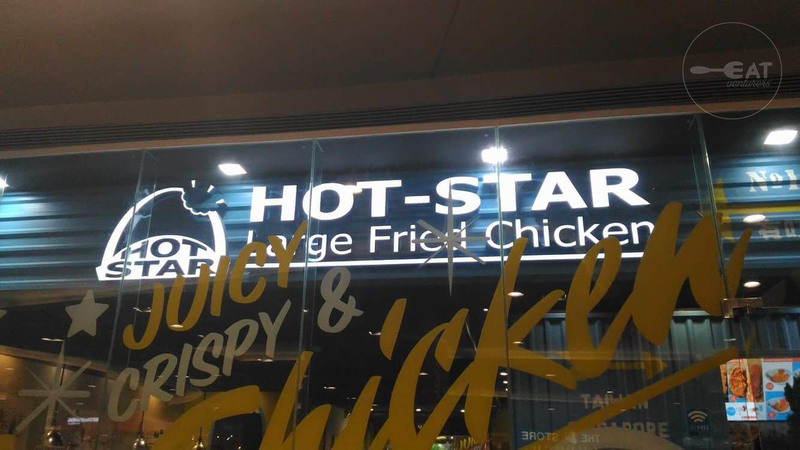 On the other hand, the 1.0 version is a fried version. We still prefer the 2.0. Stan's Black Pepper Shrimp is served a pound with about 18-20 pieces perfect for sharing at P400. 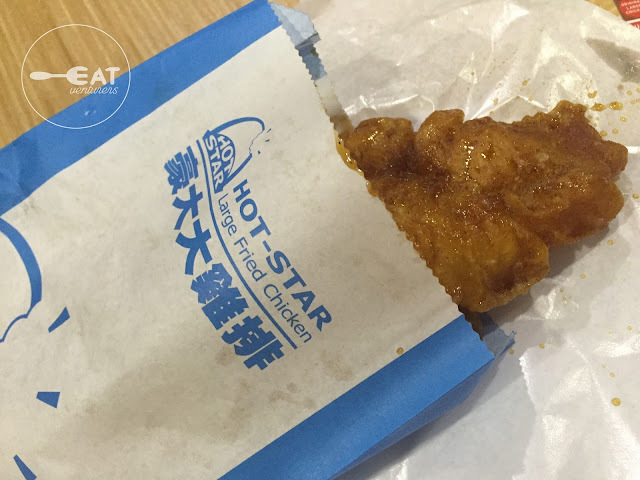 Fourth stop, Taiwan's large fried chicken, Hot Star. 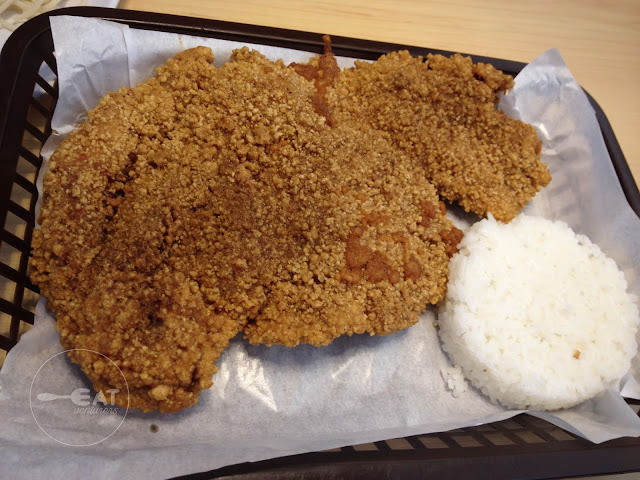 They were not kidding when they said their chicken was large. And like its advertisement, it is indeed juicy and crispy at an affordable price. 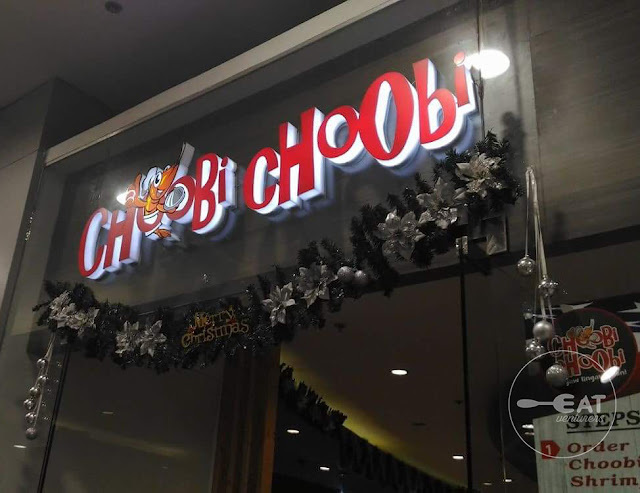 We also tried their branch in Blue Bay. 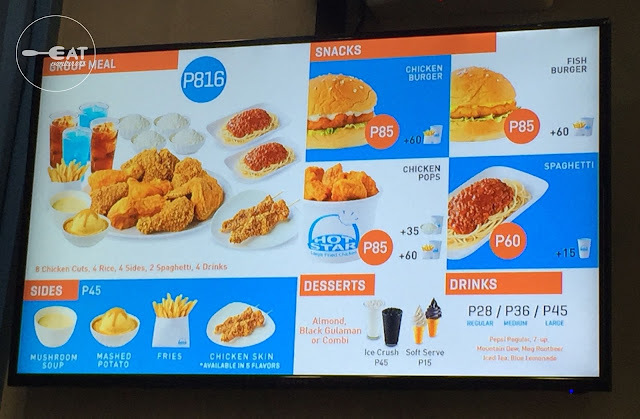 They served us the barbecue flavored-chicken, original and their fish fillet. 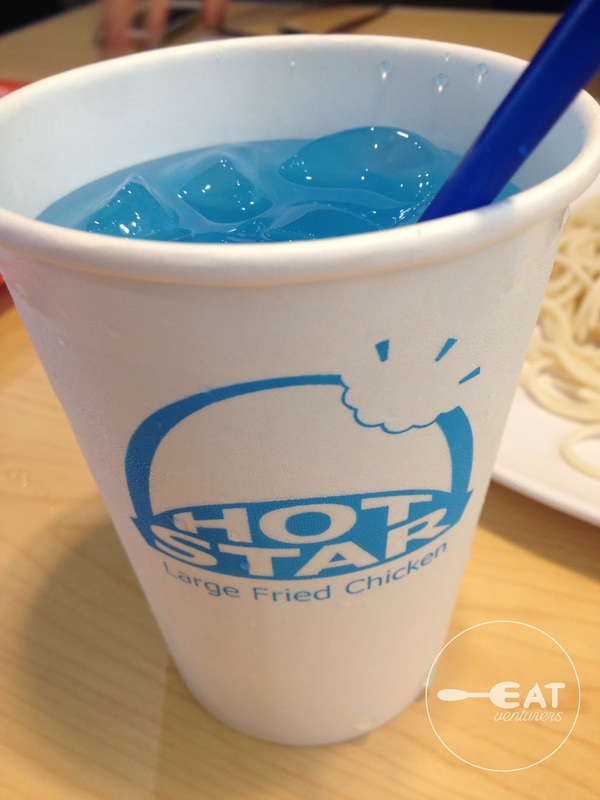 Try out their blue lemonade. 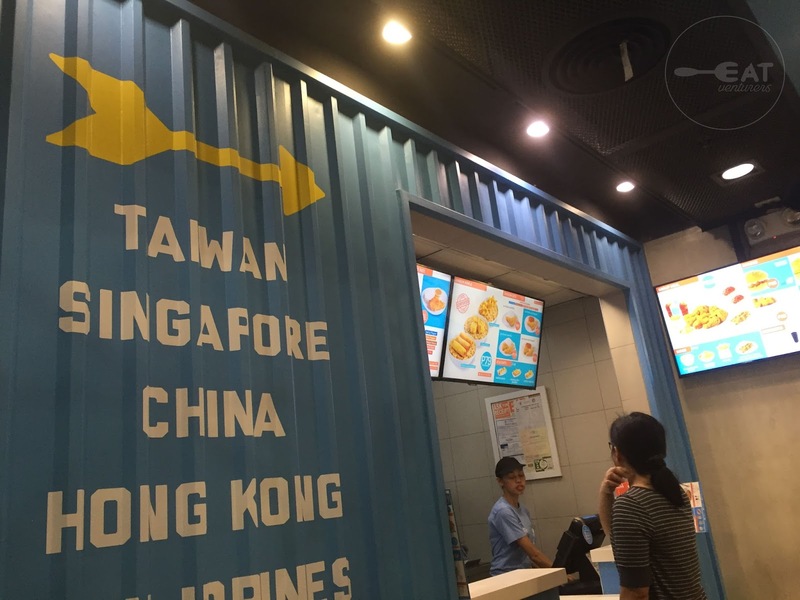 This fastfood chain can level with BonChon, KyoChon among others, except it will stand out with its huge serving. 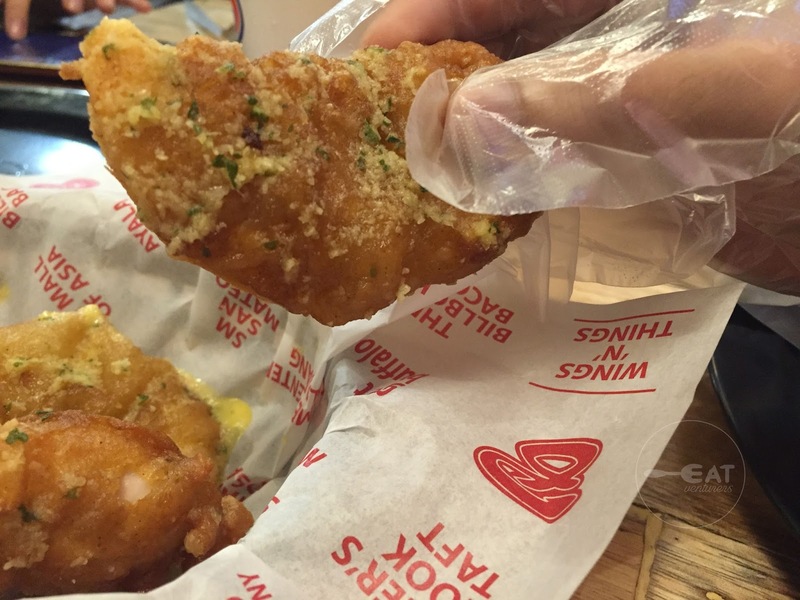 Perfect for days when you want boneless chicken. 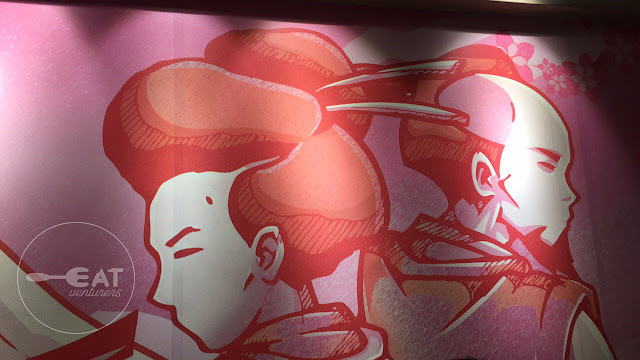 Fifth stop, let's go Japanese! 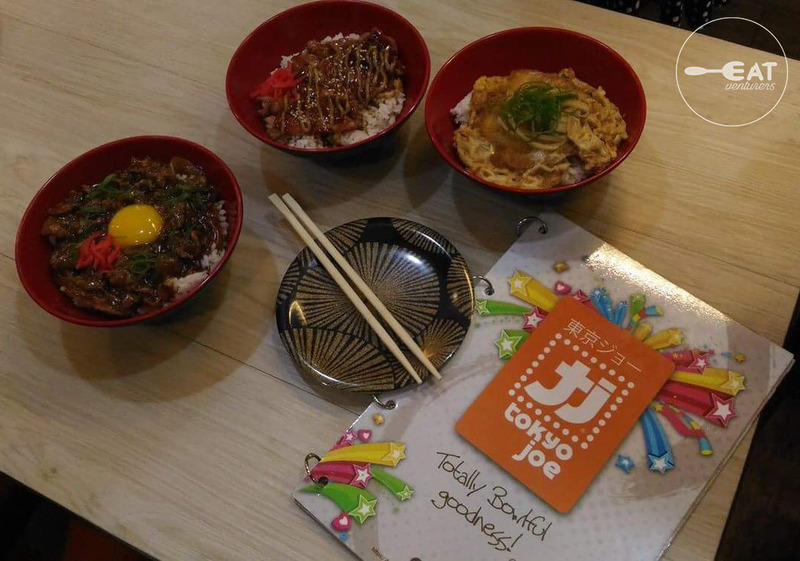 We used to see Tokyo Joe inside the University Mall in Vito Cruz, Taft Avenue and we always wanted to try it, however, its branch recently closed. 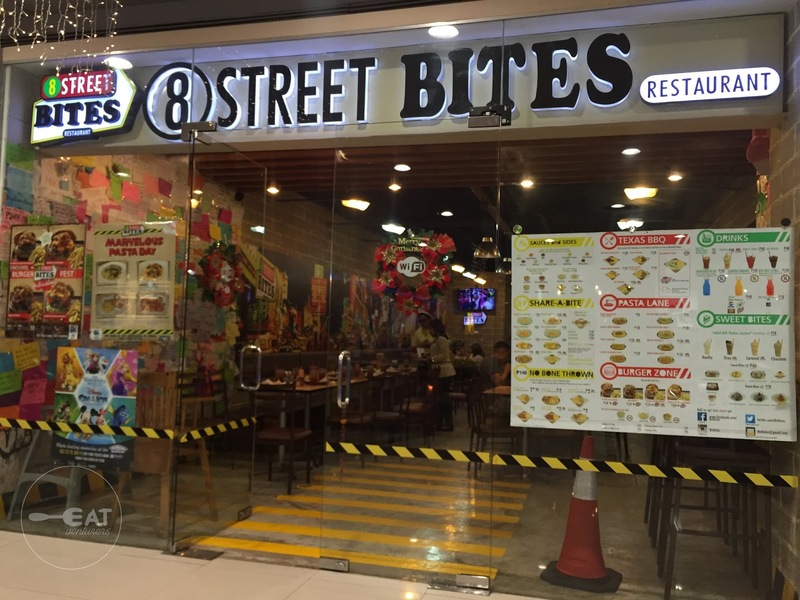 Fortunately, they now have their SM Manila branch. 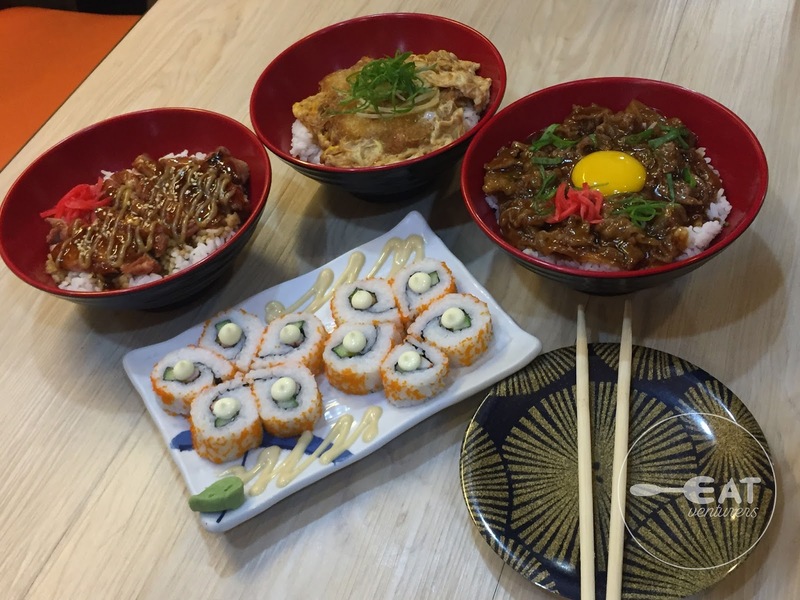 Tokyo Joe's best sellers are their rice bowls. Truly affordable at over P100 for it's already heavy. 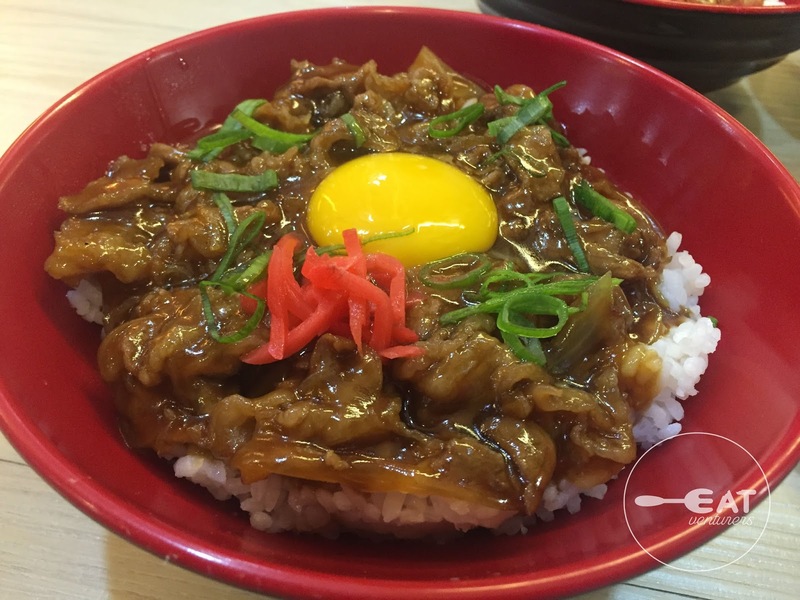 They served us pork katsu, gyudon and chicken teriyaki as well as california maki but our favorite is gyudon served with raw egg. 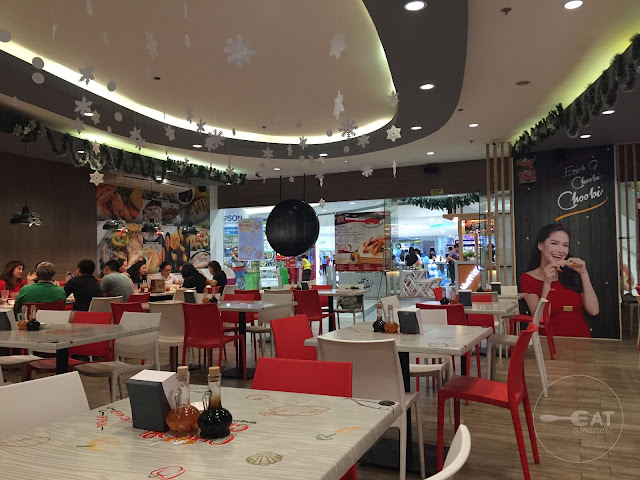 Location: Second Floor, SM City Manila. Sixth stop: All-Day Breakfast Cafe, The Wicked Waffle. 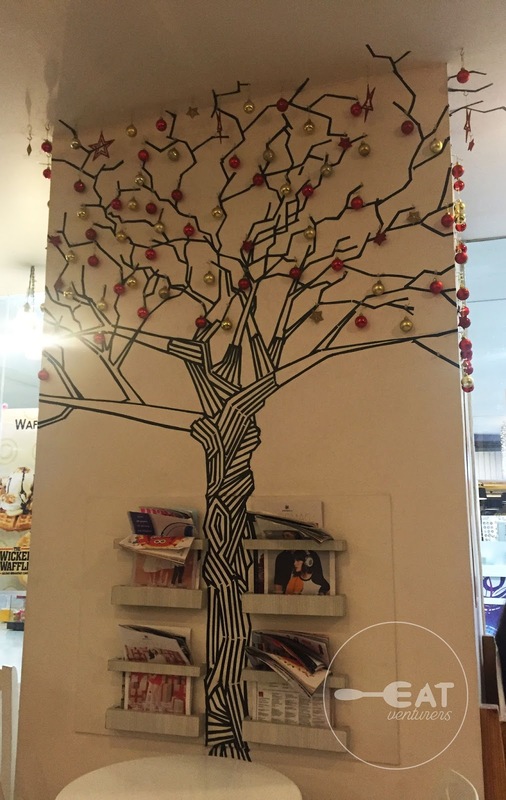 This place is perfect for catching up, meetings or when you're reading or studying because of its very relaxing vibe. 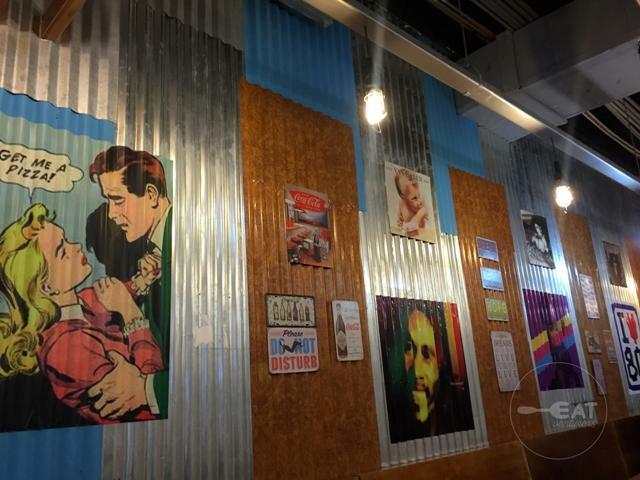 Plus this place is very Instagrammable. Look at that wall. We were served Berry Banana Split. 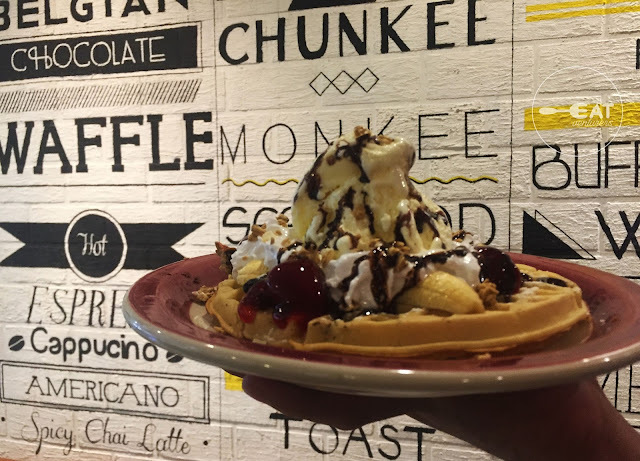 Its serving is already good for sharing and man, its taste is just too good for our sweet tooth. 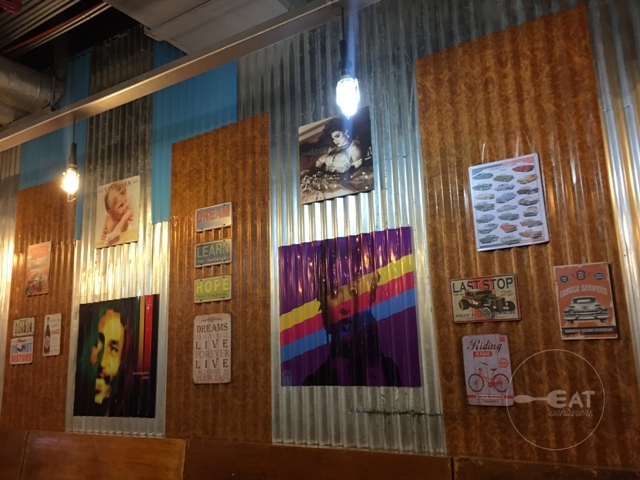 Seventh stop: Ramen Cool. Another Instagrammable place for millennials. It'll take us to Japan in a jiff. The Eatventurers tried this branch in SM Manila sometime in mid-2016. 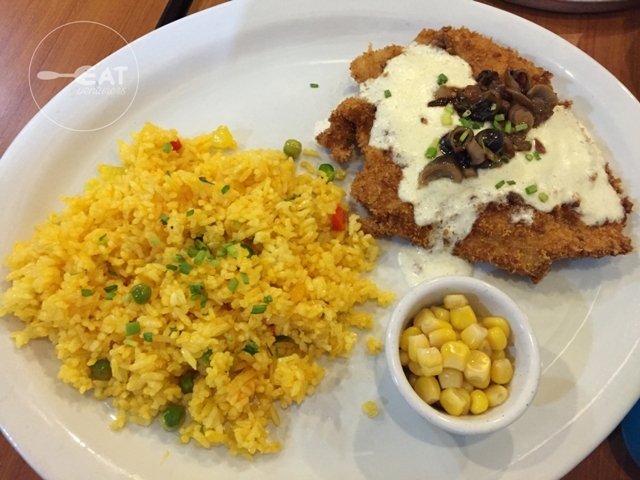 Miguel also tried their branch in Kapitolyo, Pasig City. During our first visit, we tried their nabeyaki ramen and beef ramen. 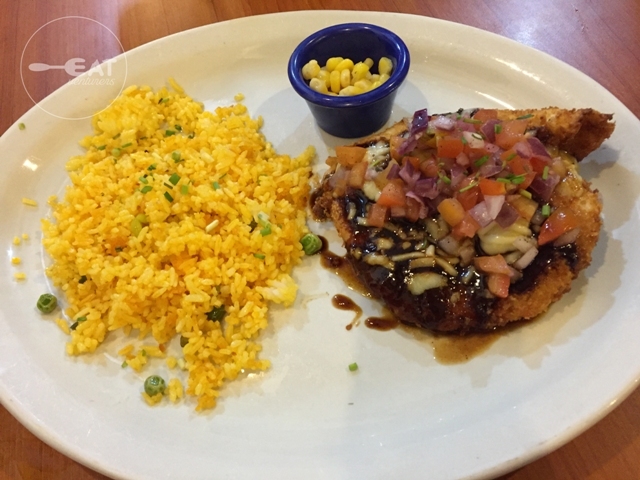 Perfect for the rainy days! 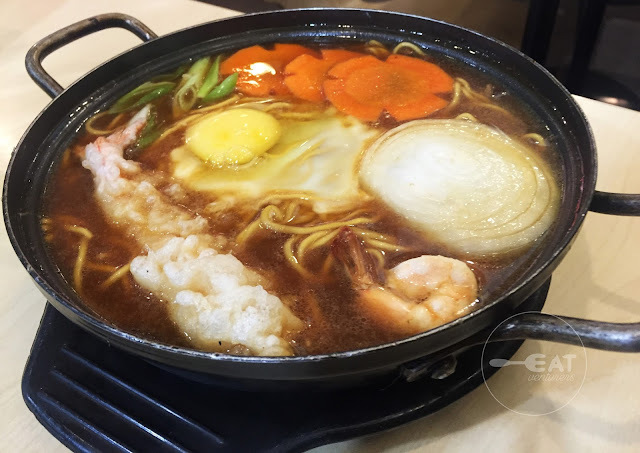 For this food crawl, we were served their best-seller RCool Ramen. RCool is unusual for a ramen for it has corn and other toppings as ingredients. 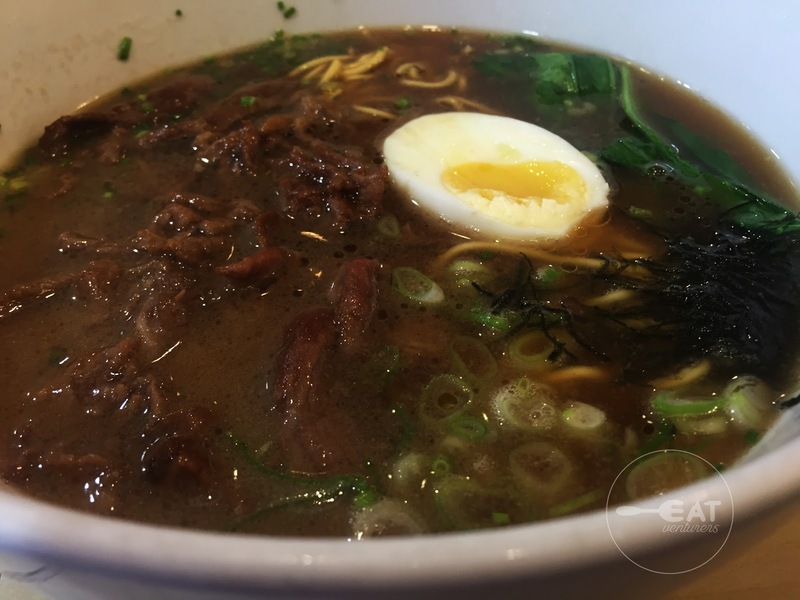 It tastes good but it's not that remarkable for us, however, what we love at Ramen Cool is their Nabeyaki ramen. Broth tastes really good. 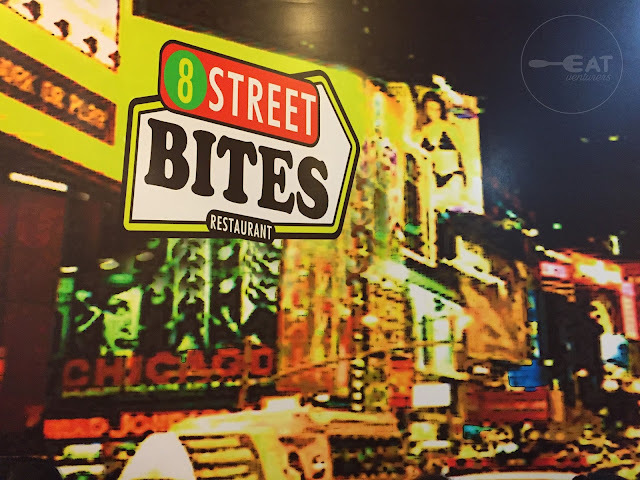 Eighth stop: Another place perfect for hanging out is this American restaurant 8 Street Bites Restaurant. 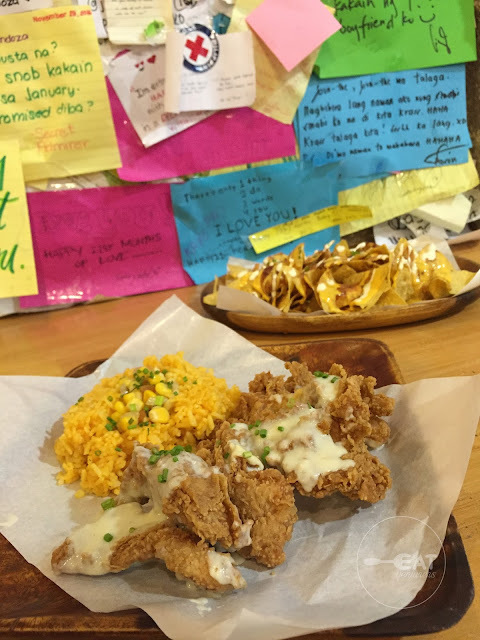 We were served freeway nachos and their signature country fried chicken steak and we must say it is a perfect meal for students with its servings. 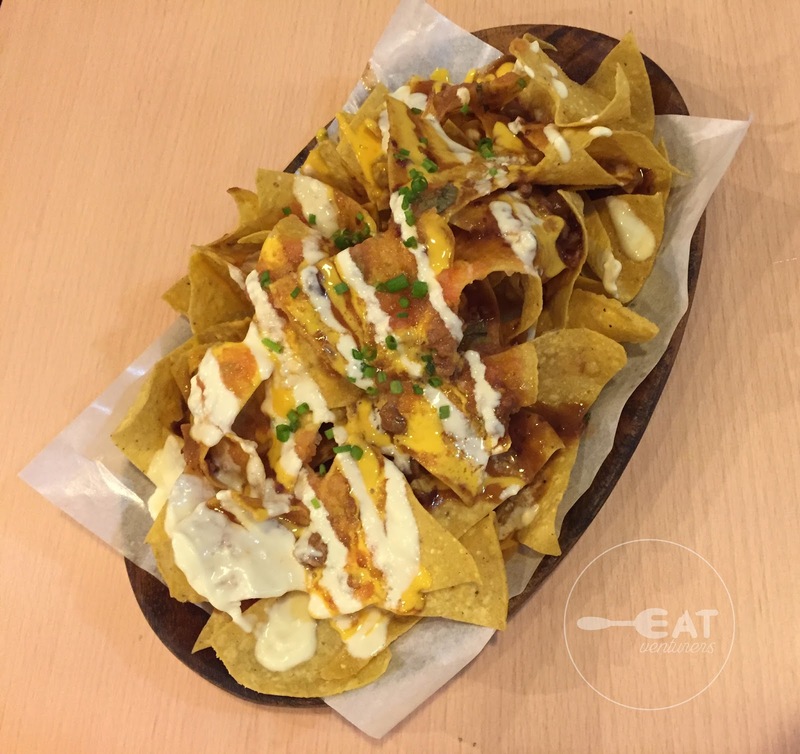 We loved the sauce of the chicken, their nachos on the other hand is perfect for munching when reviewing and just catching up with friends. Ninth stop: Mad for pizza, a fusion of American, Italian and Filipino food. 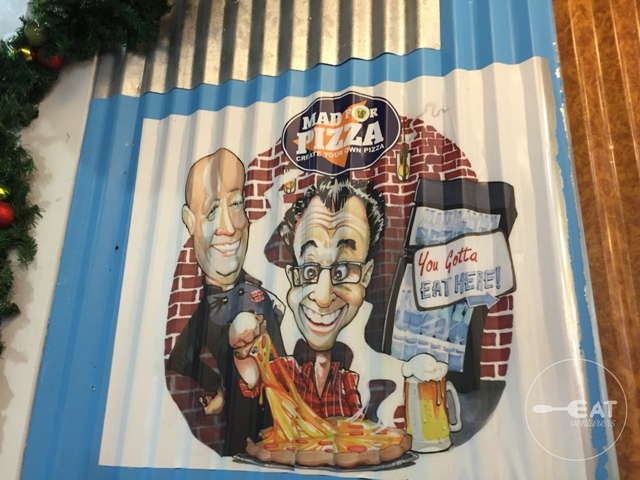 But of course, it is frontlined by their pizza. 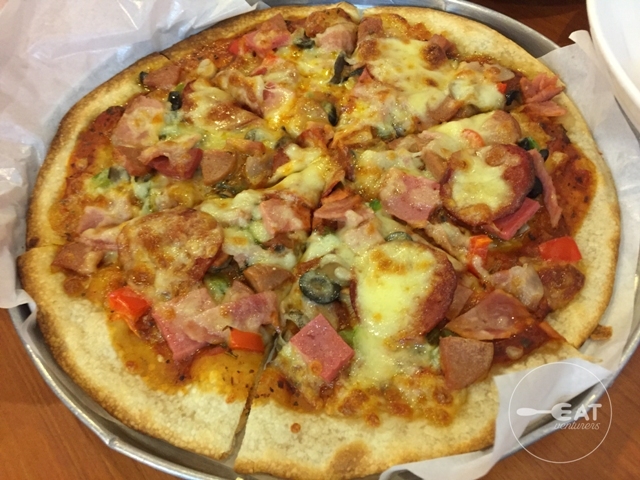 They also allow customers to create their own pizza with toppings of their choice. 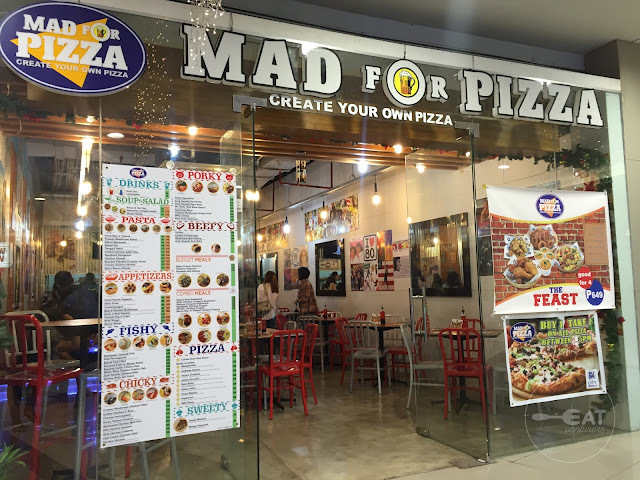 Mad for Pizza treated us with various food from their menu including their new offerings. 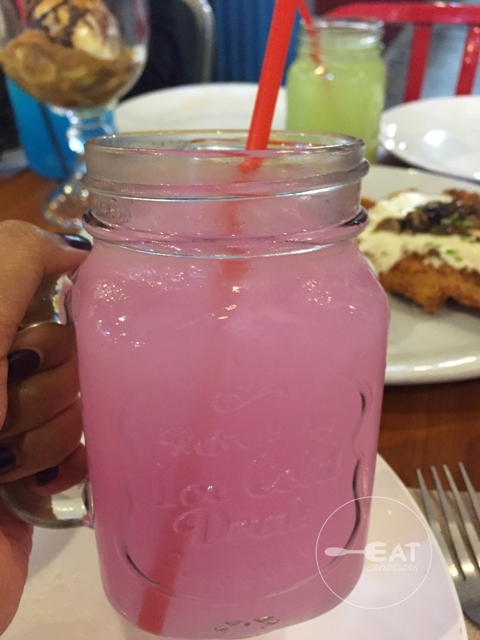 From pizza, to pasta, to rice meal to dessert and colorful drinks, they got us covered. 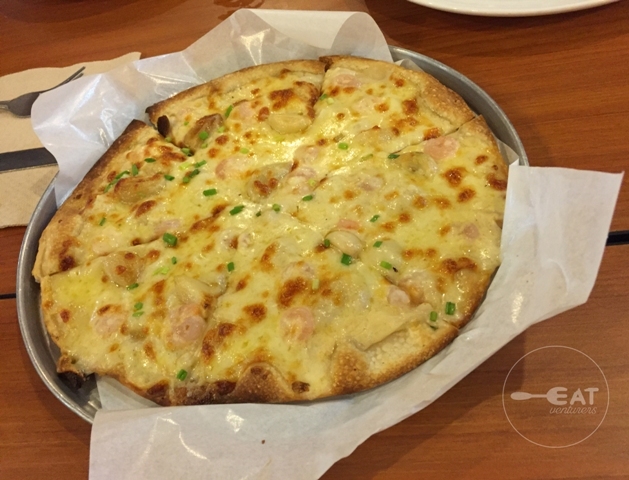 We personally loved their garlic-shrimp flavored pizza, Anya's creation. 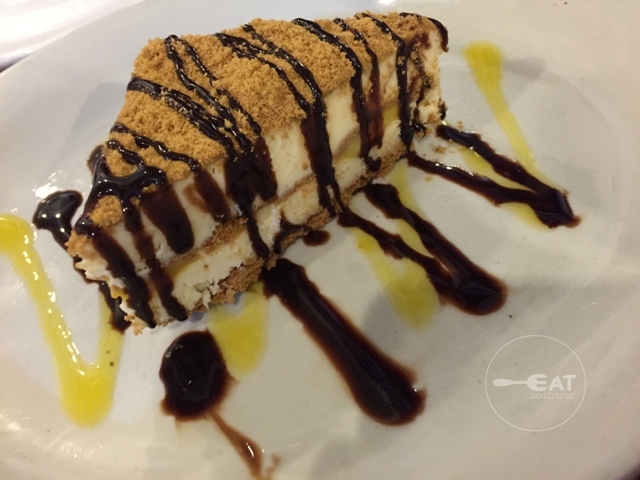 Mango supreme may appear to be your typical refrigerated tiramisu but it is just the sweet we wanted. It's not too soft nor too hard but it still brought out the supreme in the mango. 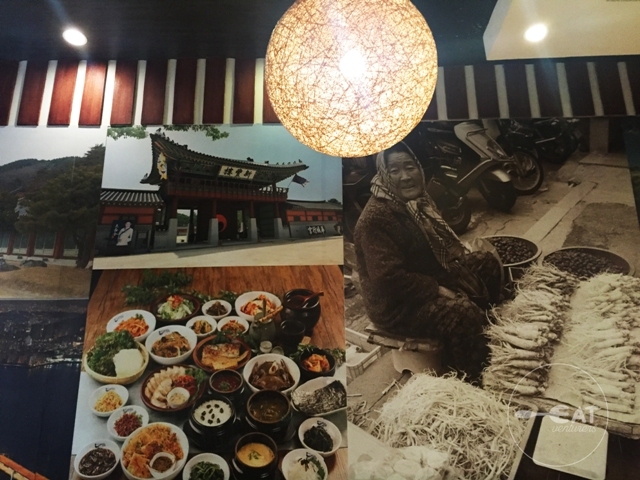 Tenth stop: Let's go Korean at Red Table! 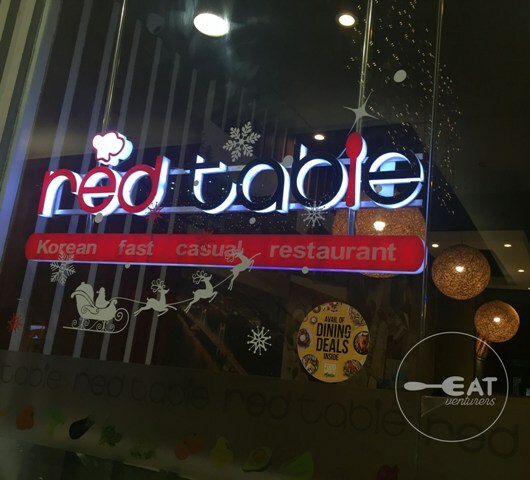 We also tried the Red Table in 2014 and I'm happy to see that it grew from a fastfood looking-place to a more Korean-looking dining place. They used to have literal red tables back then but now it's more sophisticated. 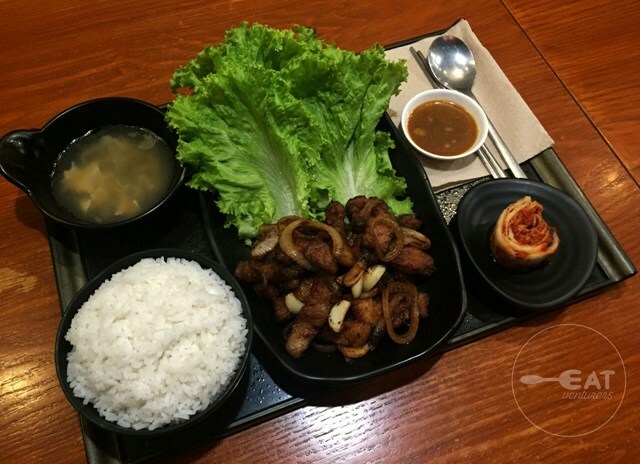 During the food crawl, we tried their samgyeupsal and it was good for the pork was grilled and marinated in the sweet way we wanted. It also provided customers with sides to try on. 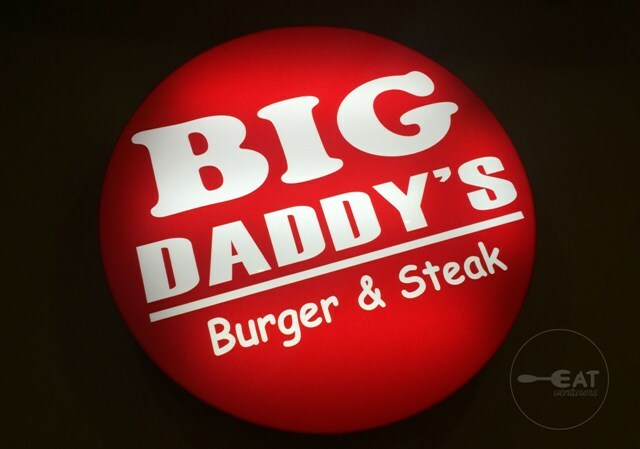 Eleventh stop: Another American resto, Big Daddy's. 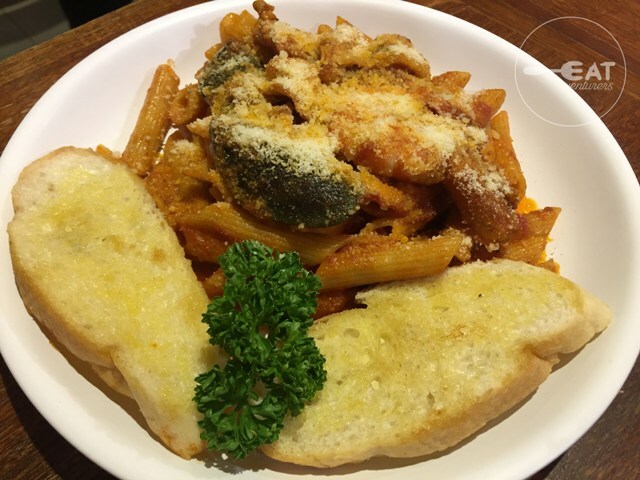 What a perfect way to end our food crawl with this seafood penne. 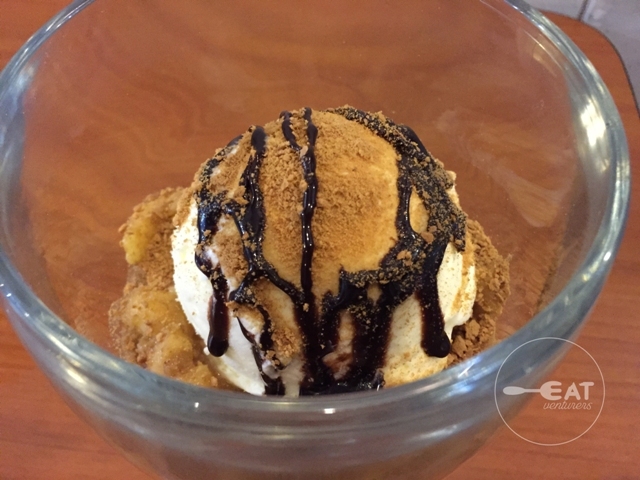 Our second favorite from the food crawl. We were expecting steak but the staff told us the pasta is one of their specialties and it did not fail us. 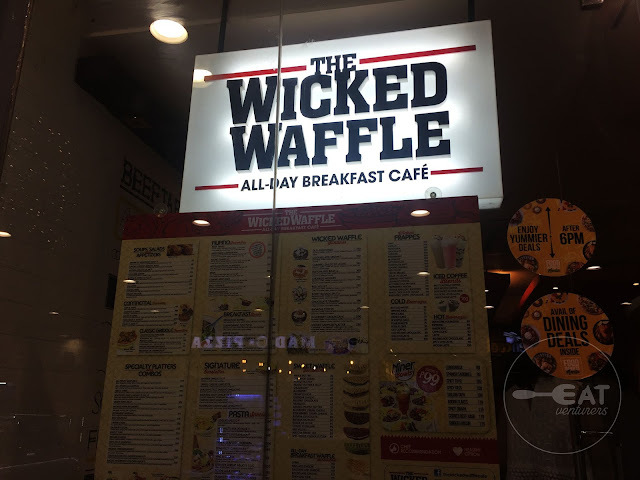 Maybe we'll come back to try out their steak next time. 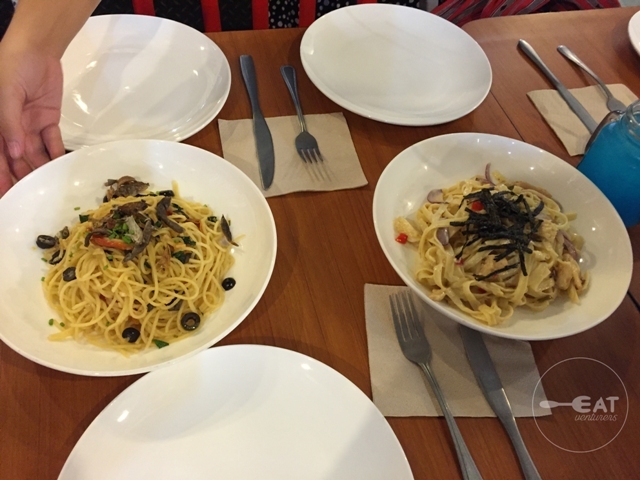 For a P155 peso pasta, this is one for the books. 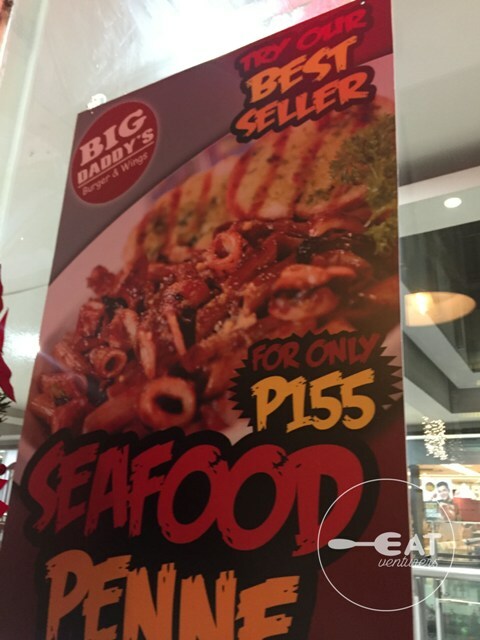 Perfect red sauce with mussels and shrimp among other seafoods. It is even served with garlic bread. Ramen Kuroda was supposed to be our 12th stop but since we already ran out of time we were not able to make it. It's already closing time. They however, promise to satisfy millennial's ramen cravings. 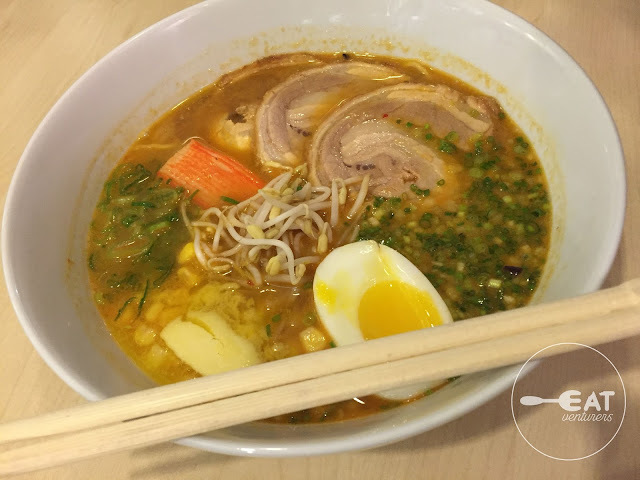 Their best-sellers are Shiro ramen, and Aka Ramen for those who prefer spicy soup. Surely, SM City Manila has more hidden dining places to discover. 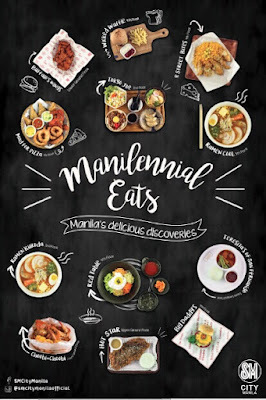 It is strategically located near tourists spots, universities with easy access as it is few steps away from the LRT suiting for #ManilennialEats.